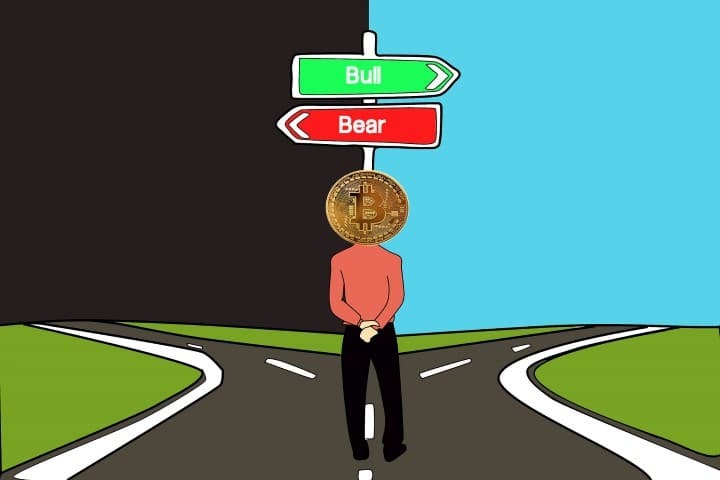 While sentiment switched to the bulls in the BTC market we stated in our last technical analysis that we remain short-term bearish on the Bitcoin chart. However, the level that we indicated during our last technical analysis has yet to be reached. 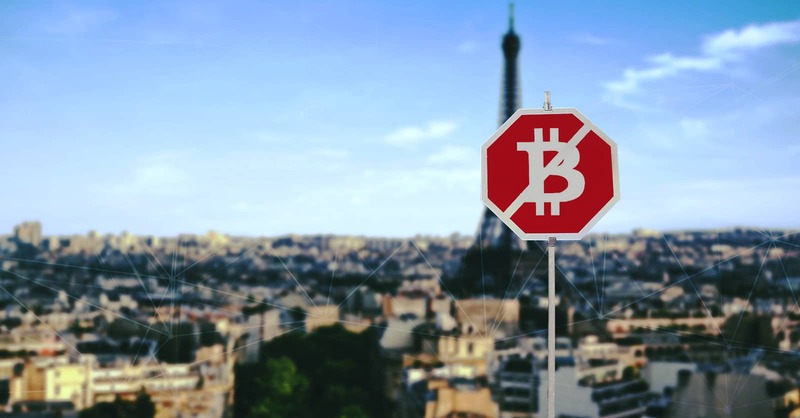 We saw it as a very bearish sign in our previous analyses that Bitcoin hit the resistance three times now since the beginning of the correction. To be back at this level for the fourth time now is again all the more bearish. But there are also more and more bullish signs that indicate that the correction might be over soon. Overall the market seems to be very undecided now. 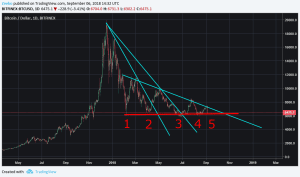 So far there is nothing unexpected about the most recent local correction that you can see in the picture above the red “5”. 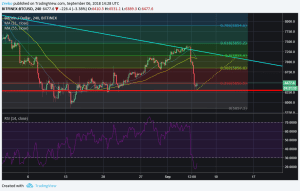 The numbers indicate the times that the chart has hit the very significant resistance level at around 5900 – 6100. The downtrend is perfectly in line with our downtrend channel that we drew back in July. It also corresponds with the Fib level of 0.618 at slighlty above $7400 USD. However, we are moving closer and closer to the point where the downtrend channel and the resistance line meet. A significant decision between lower lows and a new rally is due. In our last analyses, we stated that our best bet is that Bitcoin returns to “its normal growth” that started with the last rally. An insight that reveals us that we are, in fact, not in a bear market, but still in a bull market. 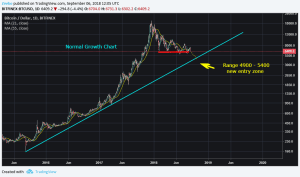 While the scenario of a return to this “normal growth” is still possible, it seems sure that there will be a pullback first to the $7000 – 7100 USD range. But from there on the market seems to be undecided and that path-breaking decision will come closer. The RSI is overbought, the chart is underneath the 21 and 55 MA and finally the chart has just moved to the lowest Fib level 0.236. All three together form a strong signal for a pullback that will aim for the 0.382 around $6850 USD (which could be a bearish signal) or potentially even 0.5 to the level above $7000 USD. However, the market seems more undecided than ever since the beginning of the correction. Our advice to inexperienced traders would be to stay out of the market until a clear direction is in sight.